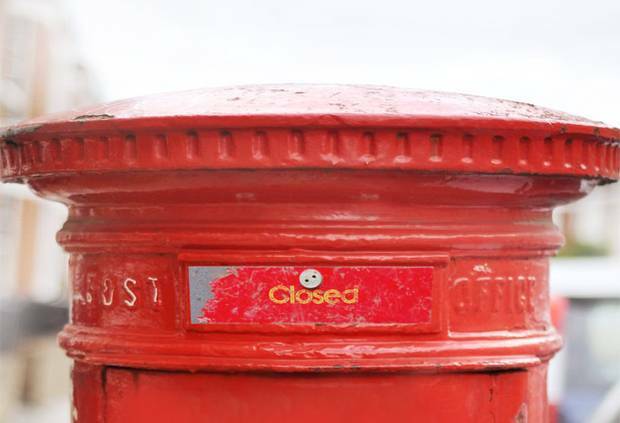 A short history of the largely successful wildcat stoppage of thousands of postal workers in the UK, and the developments which led to the strike. - The workers should be able to cover various jobs, or "demarcation", e.g. the drivers should deliver letters, if there is not enough driving work. - Workers should stay longer or leave earlier according to the amount of work coming in. - The union should be focused on co-operation and the shop stewards and other reps would have less paid time off for union work. At the same time the management are trying to undermine local autonomy with new technologies. The commissioned new modern European sorting office near Heathrow, that was due to open in January 2002, faced long delays in being ready. In May 2003 it became known that the costs had already risen from the planned £180 million to £380 million. This new sorting office would replace nine other sorting offices, which have all been problematic centres of workers power. In August 2003 the CWU (Communication Workers Union) called for a national strike for higher wages. A month of internal repression from the management and a media campaign against "post chaos" meant that by September, the vote was 48,038 against the strike and only 46,391 for it. But we can see that this vote against a national strike, which was only ever going to be a nicely timed union token, is not necessarily a sign of the desperation of the postal workers. As it turns out they would rather trust their own unmediated strength and organisation. Shortly after the "lost" vote there were a few wildcat strikes in Oxford and official strikes for "London Weighting" (extra pay to make up for the high cost of living) in London. In this situation the management thought it was in a strong position due to the vote against a national strike and therefore the isolation of the workers and it tried to worsen the conditions at the local level. The post offices in London play a doubly important role here: firstly because such a large part of the national post goes through London and secondly because the largest concentration of recalcitrant workers. After the official strikes in London the management in the various offices pushed through the so-called "back to work" agreements. New contracts that for example included overtime plans to clear the backlog of work, but also broadened out the tasks of individual workers. It was clearly a provocation. "After the negotiations the CWU and the management called for a return to work as they had a settlement. Because the next morning we still didn't know anything about the content of this agreement, we carried on striking. One day later it became clear that there would be no repression of the strikers and no local 'back to work contracts', which were not voted on. The main feeling was 'we won'. The basis for the strikes was an attempt to undermine the union and push through changes that had not been voted on. Now it is clear that they 'have to talk to us'. If the management would have managed to break the strike things would be worse now. It was a defensive, but successful strike. The issue is we broke the anti strike legislation. In this case even the headquarters union official were not trying very hard to enforce the law and the local union reps were actively working against the law. We broke through the unions officials 'anti-strike' politics again, and we were successful when we did." This article edited by libcom from a longer piece, Wildcats return with a roar, which contains further information.